The days of having numerous tools with a single, useful enchantment may be drawing to a close - while the option to keep numerous enchanted tools remains an option - one common example being, having a separate Silk Touch pickax from the standard ones - the ability to take two tools and make one vastly better one remains a very appealing option for those looking to save on space, or just boost their arsenal of mining, hunting and farming capabilities. Keep an ear to the ground, as we bring you more updates on these changes. Anyone familiar with Direwolf20 will appreciate his latest server series, featuring his unique style of gameplay, as well as a number of notable names from the modding community, give it a watch, and tell us what you think! This looks really good, I can't wait to see more! I'm kind of curious if this function let's you rename your tools. 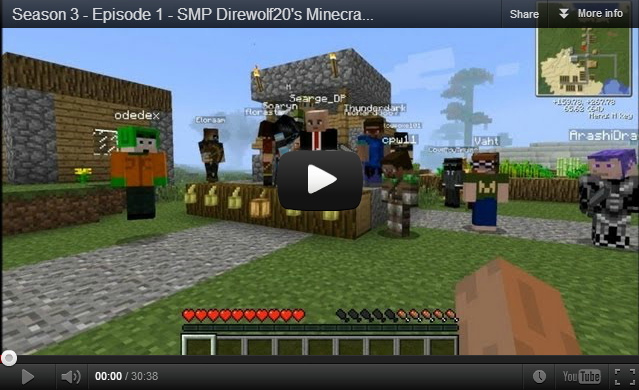 ssssweet does that meen anvils? 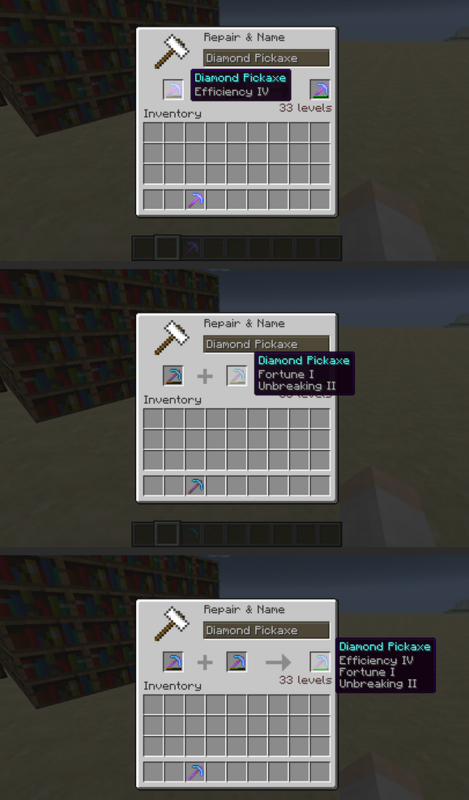 The "Diamond Pickaxe" text appears to be in a text field. Can we....can we name our tools? Naming all my enchanted Dia swords. I think there will be a limit to how many times you can repair something... If there wasn't people could just repair their almost broken silk touch with a normal pick and get a brand new silk which is pretty overpowered. I doubt there will be limits because then they'd have to track how many times an item is repaired. I think it's still the same "combine two items to create a brand new item," it's just that now that brand new item has enchantments on it based on the enchantments from the prior items. And it's not overpowered if it costs a ton of experience. 33 isn't small, compared to the fact that with 33 exp you could enchant a fresh pick and get even better. I doubt that, but we'll have to see. Hopefully on Thursday! I can't wait to be carrying the Sword of Awesome. Combining enchantments sounds horribly broken. Hopefully, it'll incur a loss in enchantment level or something. If not, we'll be seeing Sharpness IV Flame Aspect I Knockback II swords everywhere. I actually have a sword with those 3 enchantments on it, that I got normally. It's very nice. Keeping it is a very attractive idea to me. Oh please make this be true! Wouldn't this make getting god like enchantments very easy? Also would you be able to combine 2 fire aspect 2 swords to get a fire aspect 4? If so then I think it would be over powered. Who knows though it could be a pretty cool idea. It's more likely that if two enchants are the same they will simply get the more powerful. I'm guessing that once we combine the tools, we'll be able to name them. Seems obvious, but I'm just further pointing it out. This is pretty epic. 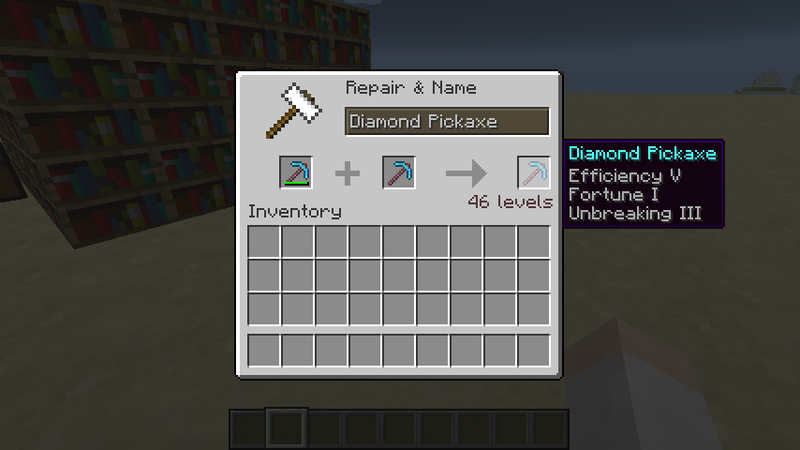 Could you enchant tools with level 1 and then combine them to get epic stuff? Maybe Mojang should implement so that you have to use XP for repair. Nice job! Look at the pictures again. You DO have to spend XP (as levels) to repair. Finally!The return of lvl V enchants.